Here is the full verse. 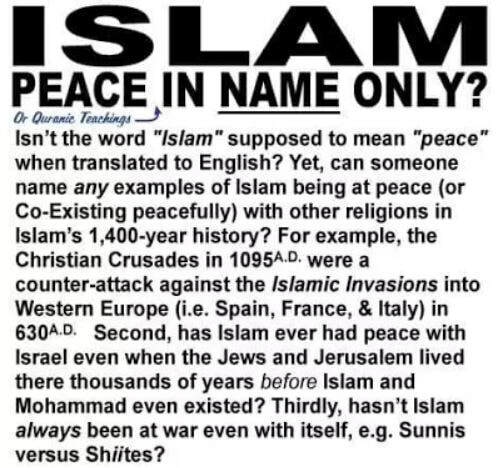 In caps is what is NOT quoted by imams and "peaceful" muslims, in their haste to prove the quran has a "peaceful" verse. The peaceful verse is FOR THE CHILDREN OF ISRAEL not for muslims (the quran has no peaceful verse). The peaceful verse is RETELLING of Talmud story of Cain and Abel, also in the Jewish Torah which is the Old Testament of the Christian Bible. In essence the peaceful verse is PLAGERISED from the Bible. This identifies "peaceful" Jewish teaching as a revelation from Allah, which is an admission that the Torah and the Gospel are CORRECT. The Quran doesn't allow for "peaceful" muslims!! What about the "peaceful" muslims that have unbelievers as friends and don't try to hurt anyone of other faiths? Would it surpise you that allah CONDEMNS all the "peaceful" muslims of the world? 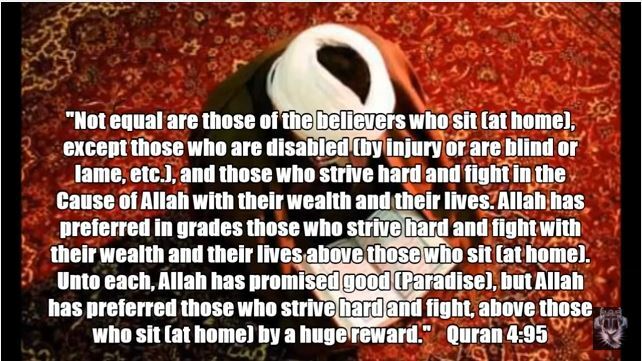 Allah does not even allow any "peaceful muslims" to simply sit quietly at home in peace with his neighbors. In fact Allah threatens them in the quran with punishment and to REPLACE them with other people. DON'T LIKE true islam that is warlike? CHANGE IT OR LEAVE IT!! Its really quite simple. The quran calls anyone, who does not fight, or takes unbelievers, Jews or Christians, as friends, or doesn't follow exactly all the precepts in the quran, a BLASPHEMER. According to the quran, blasphemers are to be killed by other muslims. For blasphermers, knowing the truth, WILLFULLY NOT REFUSE TO DO what Allah wants. If you don't like this, kill in the name of Allah and would rather live in peace with others, then islam is not the religion for you. For the quran brands you as a traitor to islam(same as blasphemer/unbeliever or even annoyer of allah and his prophet) and the allah of the quran DOES NOT FORGIVE sending unbelievers to Hell(Quran 33:64). Do you know which God does forgive ALL SINS and makes it possible for you to go to Heaven free of your own works? The God of Israel and the Bible, Yahweh. Unlike allah of the quran, Yahweh REALLY DOESN'T WANT ANYONE TO GO TO HELL and sent the Messiah Jesus to die for the sins of the world. Ironically the quran itself admits this same Jesus son of Mary of the Bible is indeed the Messiah. 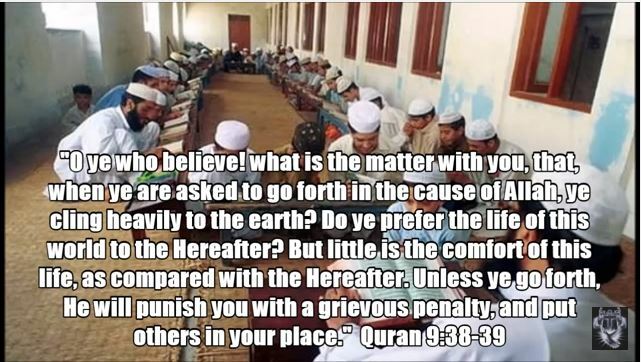 Why would you want to be going to Hell according to both Allah and Yahweh especially when the quran says the Bible is true? Won't you accept the Jesus whom every prophet called "The Lamb of God who take away the sins of the world" [John1:29] and be saved from God's wrath against ALL sins, even blasphemy and disobedience ?